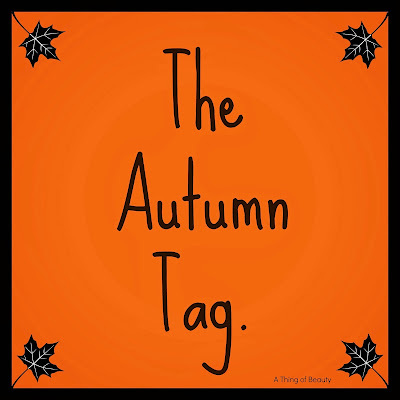 Suzanne Gamble: The Autumn Tag. 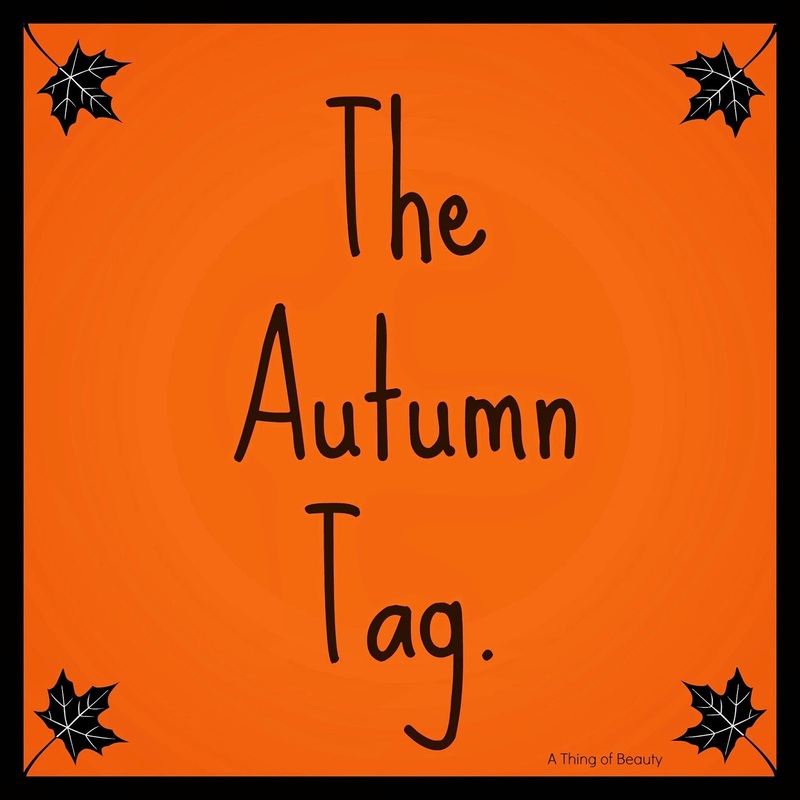 Seeing as I have decided to start this blog in autumn I think it would be appropriate and only right for me to do the autumn tag. I saw this tag on Water Painted Dreams blog so decided to give it a go! For Autumn, what is your…. Favourite thing about it? I love the colours of autumn, especially when they are transferred over into make up and clothes. I also love that as it starts to get cooler I can snuggle under the duvet whilst listening to the wind and rain outside. Plus my birthday is at the beginning of November and also we can’t forget that it is the countdown to Christmas! Favourite drink? It has got to be tea and hot chocolate – both are great to warm you up when its cold. Favourite scent/candle? I love the typical autumn scent which is cinnamon. Also as it nears to Bonfire night I love the smell of fireworks and bonfires in the cold night air. Best Lipstick? 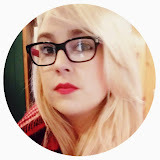 My all time favourite autumn/winter lipstick is the Rimmel by Kate Moss 107 (cliché I know!) I just love the darker colours of autumn. Go to moisturiser? I would have to say either my day to day Simple moisturiser (I might change from the light version to the richer version depending on how dry my skin gets in the cold) or of course, the Origins Drink Up Intensive Overnight Mask which is great at re-hydrating the skin and getting rid of those flaky patches (eww). Go to colours for the eyes? I wouldn't really say that I changed eyeshadow colours to go with the seasons. I always tend to stick with browns, blacks, greys, golds and bronze. Favourite music or band/singer to listen to? Also another thing I don’t change with the seasons I just listen to what I fancy at that moment in time. Some of my favourite bands/singers are: Kings of Leon, Ed Sheeran, Blink 182, Gabrielle Aplin & Paramore. Favourite outfit to wear? I like anything warm as I tend to always be cold. I love to wear Ugg boots, knee high/ankle boots with tights, snoods/scarfs, parka coats, jeans and skater skirts. Autumn Treat? It has got to be new clothes and shoes, I just personally prefer autumn/winter clothes compared to spring/summer. Favourite Place? Indoors with a cup of tea whilst watching tv, browsing the internet, reading a good book or spending time with loved ones. I also love Bonfire night, so I'm looking forward to seeing a firework display whilst wrapped up in Autumn clothing. If you have done this tag too then let me know in the comments, I would love to read it!